Cooking in a crock pot is a great, safe, and easy way to simmer food and get a fantastic flavor. Simply gather the ingredients, put them in the crock pot, and let them cook while you're relaxing or working on another project. Chili is versatile and can be cooked on low for a few hours or on high for around eight or 10 hours. In this low-calorie chili recipe, about 10 ingredients are recommended for a meal that makes less than 300 calories per serving. Take a few minutes to prepare this crock pot recipe and let it sit for about five hours before serving. This crock pot chili recipe is perfect for families who love chili, a little spice, and budget-friendly meals. Families and friends who are health-conscious will be happy to know that this cheap meal can be made with many nutritious ingredients depending on the type of chili at hand, whether vegetarian or Texas-style, for example. 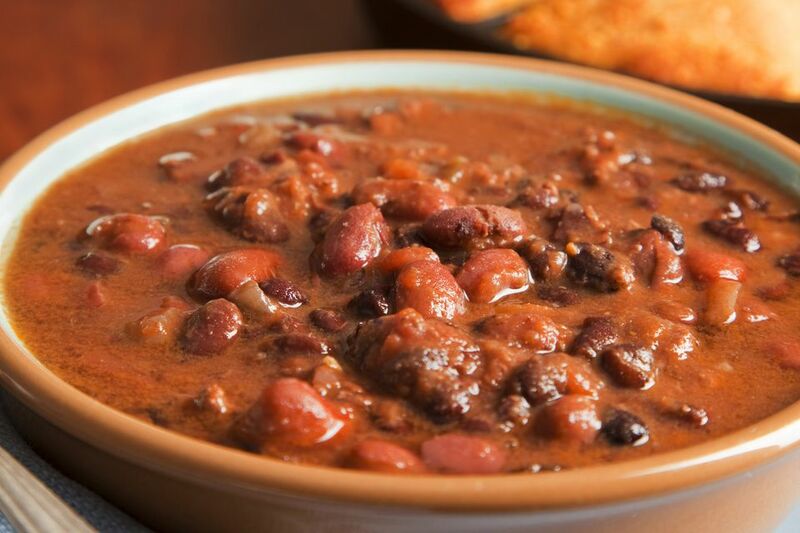 Several chili crock pot recipes, like this one, include a lot of fiber-rich beans and lean meat that makes it high in protein but low in fat. Simply choose lean beef or lean ground turkey for the meat if not discarding it completely. Alternative forms of the protein include vegetable protein, tofu, seitan, and more. Chili is a great way to sneak in extra vegetables. Tomatoes, onions, and peppers are great additions to the soup. You can also experiment with adding other vegetables such as finely chopped carrots and mushrooms. Choose what you might want to toss into your chili by considering if you want a sweet or spicy kick to it overall. Simply serve this dish with a slice of soft cornbread and a crisp green salad for a hearty and filling well-rounded meal. Begin to brown the ground beef along with the garlic, onion, and red bell pepper in a non-stick skillet until the beef is no longer pink. Drain any excess fat that cooks off of the ground beef and discard the extra drippings. Next, add the ingredients to the slow cooker. Combine the beef mixture with the remaining ingredients in a 4-qt. (or larger) slow cooker. Gently stir the ingredients together with a spoon until all of the ingredients are well combined. Set the slow cooker to cook on low for five hours. Carefully ladle the chili into several bowls. If you wish, top with chopped green onion, a small amount of grated cheese, or just a few saltine crackers. You may also top with a light serving of sour cream for that extra flavor.